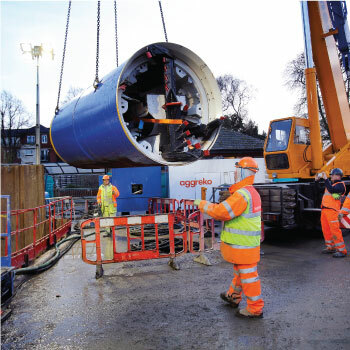 While Anglian Water’s customers in Market Harborough’s town centre carried on with their daily lives, just several metres below their feet an enormous manned tunnelling machine was boring through the earth as part of a £1.5 million flood alleviation scheme to reduce the risk of surface water flooding in the town. The Tunnel Boring Machine (TBM) was lowered into a six-metre drill pit, which was then driven on a 100-metre, laser-guided journey under the town’s streets by @one Alliance Tunnel Boring Machine operator Jamie Warren, one of only a few people in the country qualified to operate this machine. 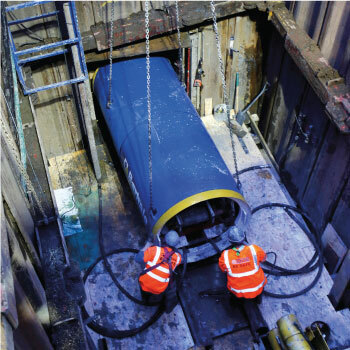 Two tunnels were drilled beneath the town’s streets to make space for a new surface water sewer pipe, which was laid behind the TBM as it travelled. 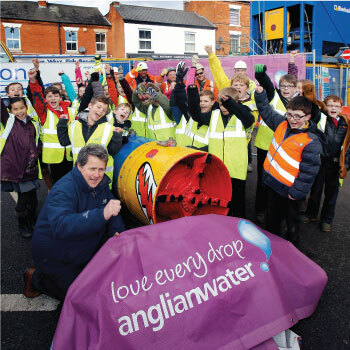 Anglian Water and the @one Alliance worked alongside Harborough District Council, the Highways Authority and business representatives in the town to plan the work and minimise disruption to the public and customers, and also liaised with the Environment Agency and the River Welland Trust for consent to work in the river. 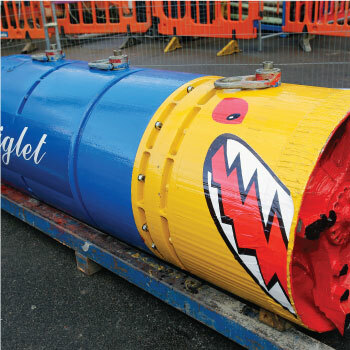 Children from local schools were invited to name one of the tunnelling machines, and a 10-year-old pupil from Market Harborough Church of England School, came up with ‘Diglet’. In February 2015 the class was invited to the site to see ‘Diglet’ unveiled, as well as learning about engineering and the project itself.